HDD Recovery Pro is your answer to deleted files, lost data and corrupted disks. Get all your data back quickly and automatically. Restore files, pictures and documents in a matter of minutes! Payment information safety is ensured by PayProGlobal.com - one of the most reliable systems of registration, ordering and payment over the Web. PayProGlobal is a company with a world-wide reputation. It processes transactions in all basic currencies and supports various forms of payment. 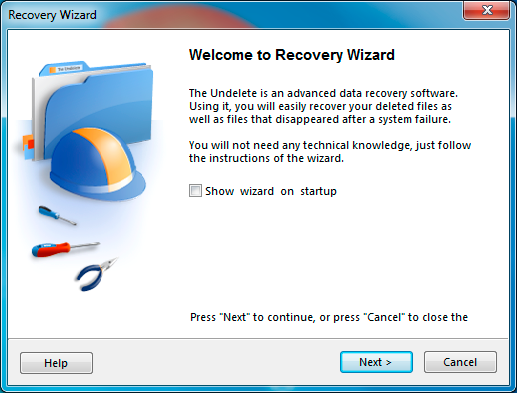 The Standard License allows you to use The Undelete at home for non-commercial purposes. Use of The Undelete in business or commercial purposess is not allowed by this license. Government, business and corporate use, all these types of for-profit organizations are required to purchase a Business License unless they are providing data recovery services to their customers. If You want to provide a data recovery services to your customers, please order the Professional License. The easiest and fastest way to order is online using credit cards. The ordering pages are on a secure web site that encrypts all transmitted credit card data according to the secure HTTP protocol. As soon as we'll be notified that your order has been processed, we will provide you with the serial number which will register your copy of the product.